It’s finally time for the teams to head home. 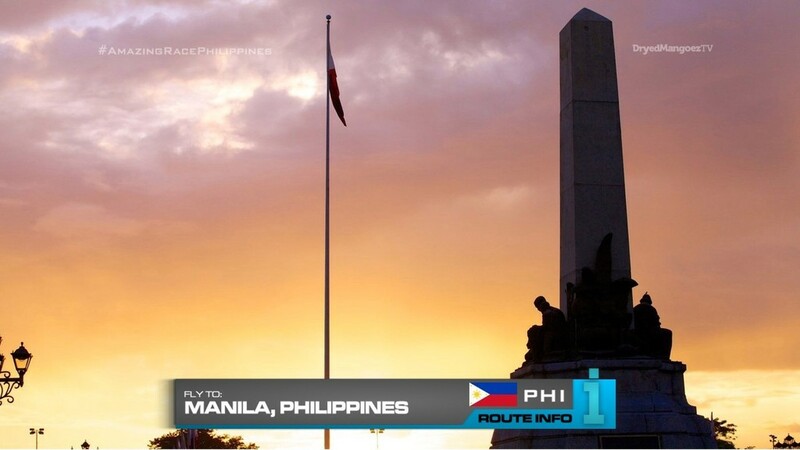 Teams will be flying to Manila via Istanbul and Singapore, arriving at 4:10am. 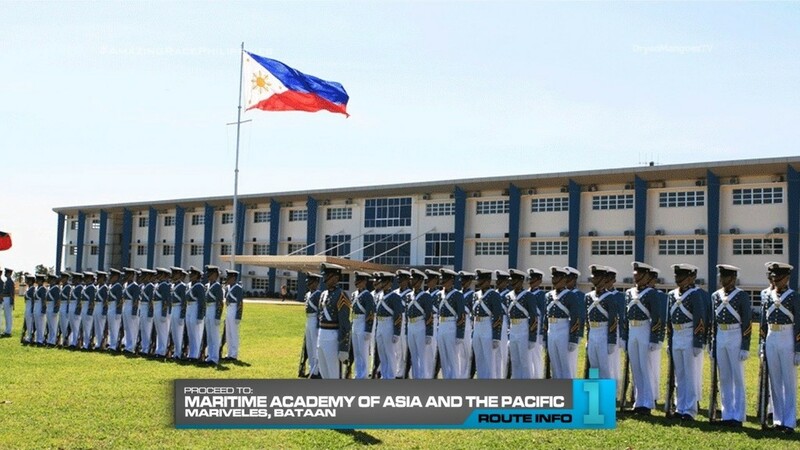 Teams must taxi on over to the Maritime Academy of Asia and the Pacific in Mariveles, Bataan. Teams will need to find the West Campus where both team members will need to complete a training simulation. When they’ve passed, they can head to the Dunlop Slazenger Factory. And here where Wimbledon tennis balls are manufactured will be the Road Block: Who wants to play tennis? They must then place them inside ball tubes and place them in order they were visited on the Race. Once all the tubes are correct, they will be handed the next clue. And it reveals ANOTHER Road Block! Who can top it off? The other team member must now complete this Road Block. For this 2nd Road Block, the other team member must now search a bin of tennis balls printed with flags. They will need to find the balls with flags corresponding to the countries they visited on the race, place them in the tubes and put on the tube cap. Once all ten tubes are finalized, teams will be given the next clue. 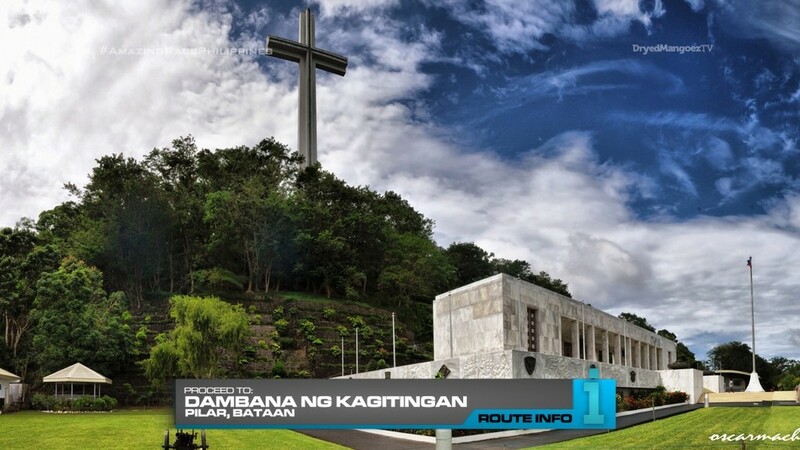 Teams must head to Dambana ng Kagitingan in Pilar. 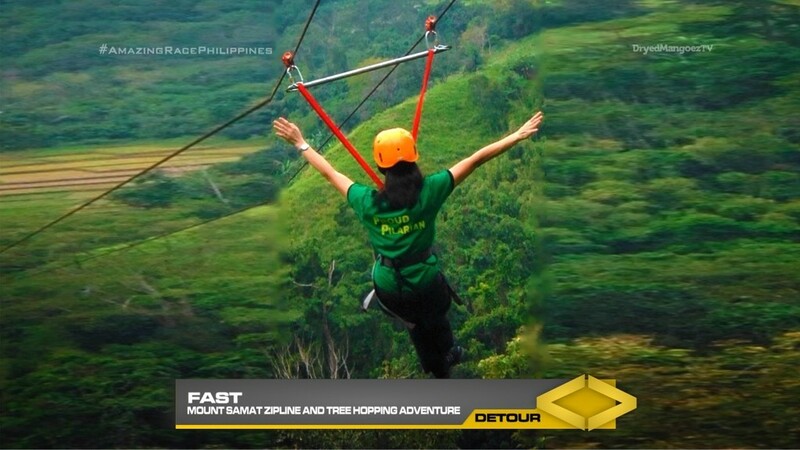 The clue here points teams to Mount Samat Zipline and Tree Hopping Adventure for a… Detour?! Fast or Faster. 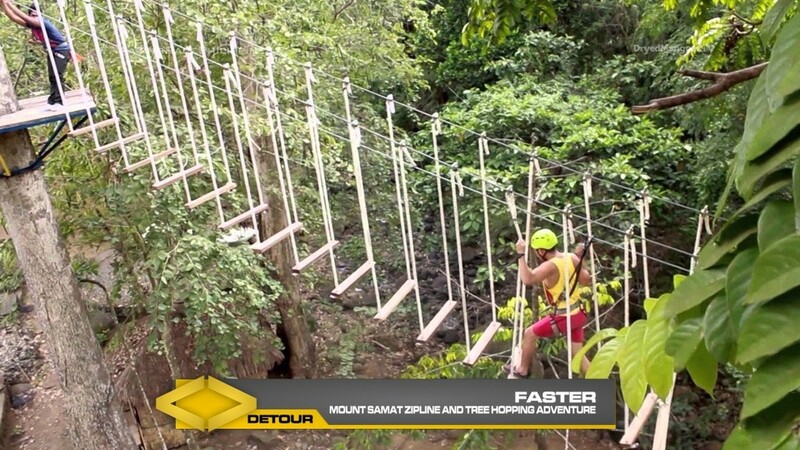 In Fast, teams will zipline and along the way must memorize the five cities they see on the ground according to the color of their team. Each city corresponds to a Leg number and the order they see the cities corresponds to a code that will unlock a box containing their next clue. In Faster, teams must traverse a treetops ropes course where they will collect five flags according to their team color. Each flag is printed with a city they visited on the Race and each city corresponds to a Leg number. The order in which they must obtain the flags will be the code to unlock the box containing the next clue. 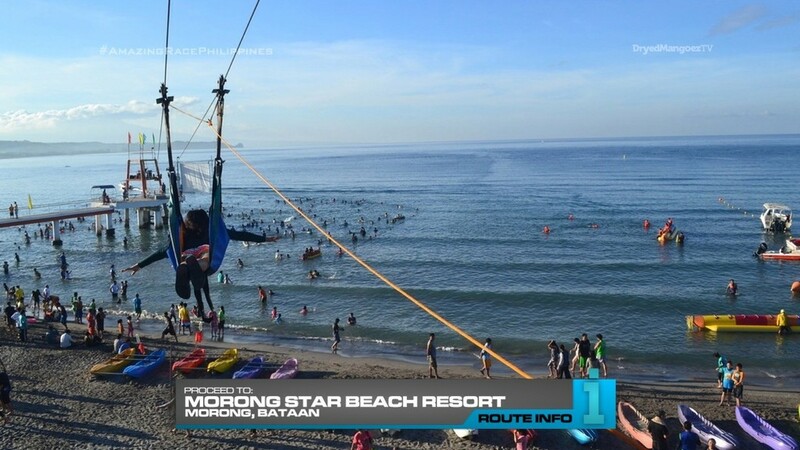 Teams must make their way to Morong Star Beach Resort in Morong. 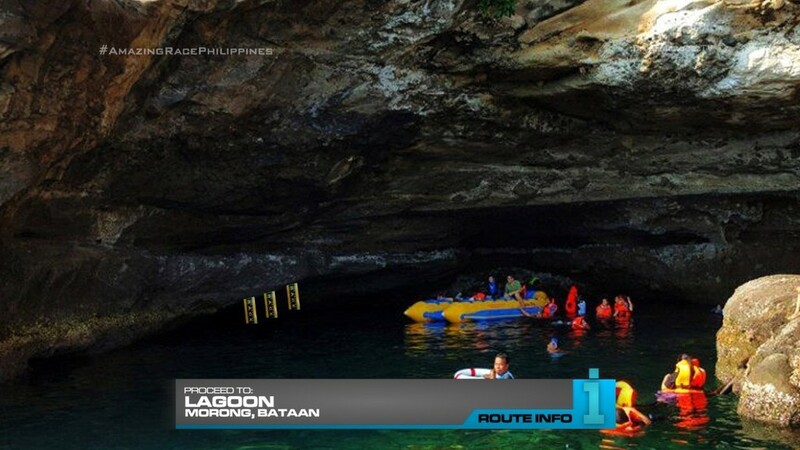 They will jetski to a lagoon where they must search the water for the next clue by snorkeling. 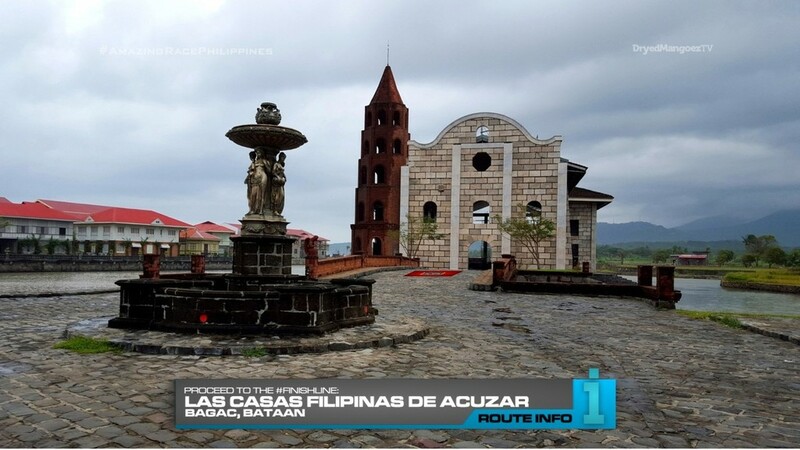 That clue reveals the Finish Line for this Race: Las Casas Filipinas de Acuzar in Bagac. Another season is over and done with. First off, this Leg. It’s an alright Leg. 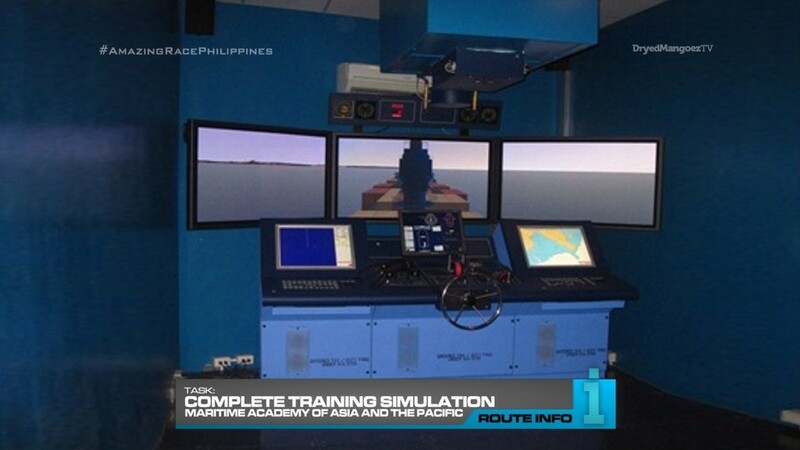 The maritime simulation, after having an airplane simulation in California is likely too much for one Race. Especially after those two painting tasks back-to-back earlier. This Final Leg can be exchanged with any other season, though. 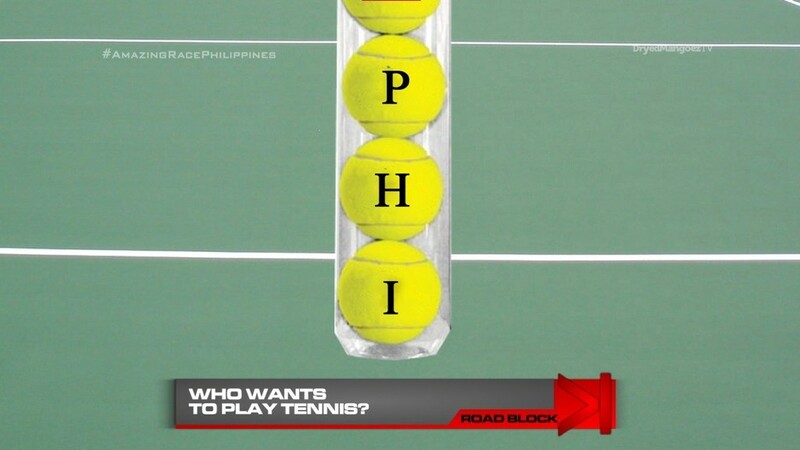 But I really like the tennis ball Road Blocks. 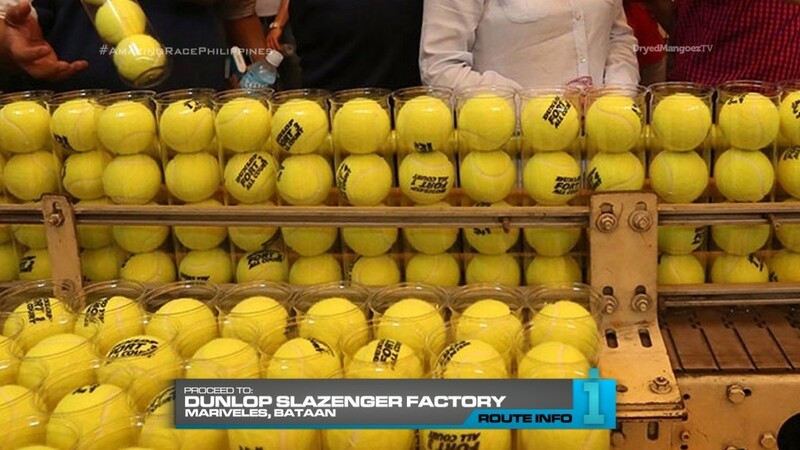 I had no idea there was a Dunlop factory in Bataan. I’ve been wanting to have some kind of country code-type Final Task. So the tennis balls fit with the IOC codes, all of which were printed on the teams’ clues throughout the Race! 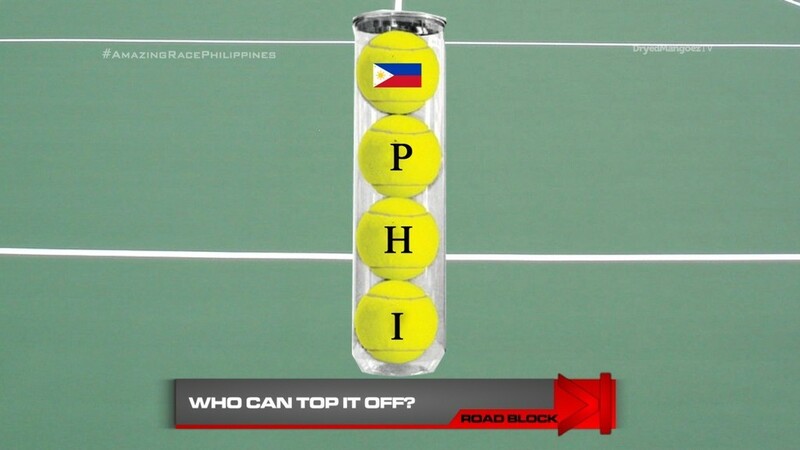 Plus, the tennis balls will be donated to schools around the Philippines! Yay! The Detour at the end of the Leg is interesting. This Bataan Leg was originally planned for TARPHDME10. So having the Detour at the end would work much better with four teams I think. The whole thing could be eliminated though. But I do like the Leg number tasks, especially when this season, there were two two-country Legs with many visited cities. The Detour may be very linear though and we don’t want a linear Final Leg. But overall, it’s a solid Leg and a nice wrap-up to an interesting route!